YANA™ is a revolutionary daily beauty liquid that helps to rebuild and strengthen skin by boosting the body's natural collagen production. This highly concentrated proprietary blend of collagen peptides, ceramides, antioxidants and vitamins helps to restore the essential elements skin needs to regain and maintain its youthful appearance. The YANA™ Replenishment Program allows you to receive monthly shipments of YANA™ arriving directly to your doorstep. Did you know by subscribing to the Replenishment Program that after every 3 months your 4th month is free? Get ready to embark on a journey to radiant skin from within. 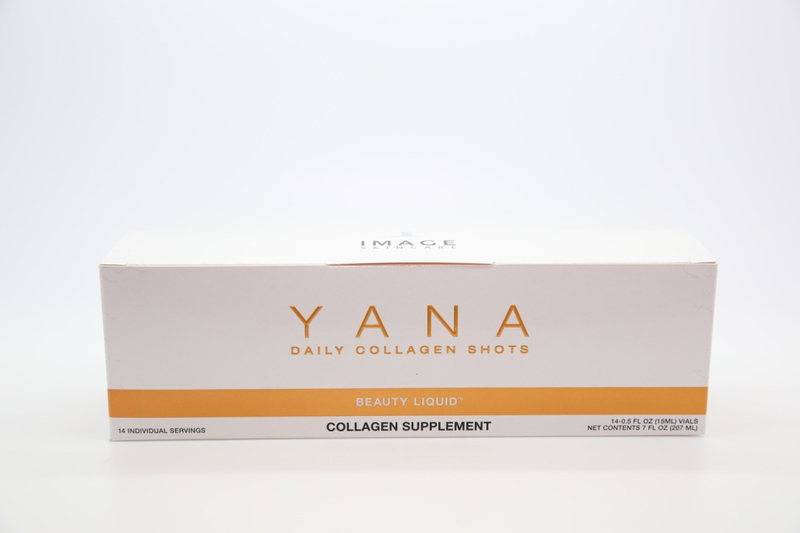 YANA™ offers a new approach to skin health, utilizing a bioactive collagen peptide that is clinically proven to increase skin firmness, slow collagen loss, reduce wrinkle depth, increase elasticity and restore hydration. .5 oz bottles, 14 ct.